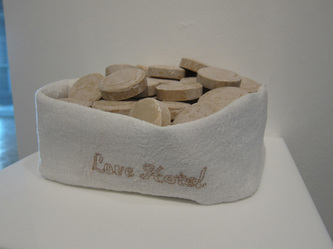 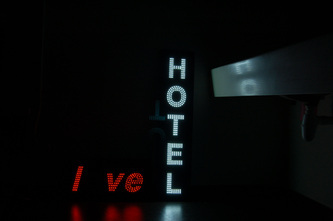 Love Hotel (2010-ongoing) is a series of works that take on the complexity of our desire for connection in contemporary urban living. 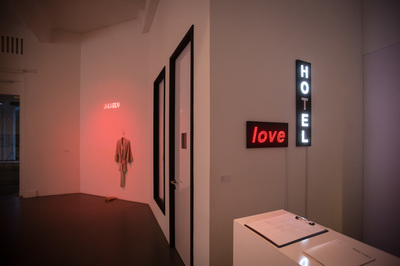 By looking at the gamut of emotions and issues surrounding our relationships to the city, acquaintances and even strangers, the works (photographs, posters and installations) will be explored as threads within these works. 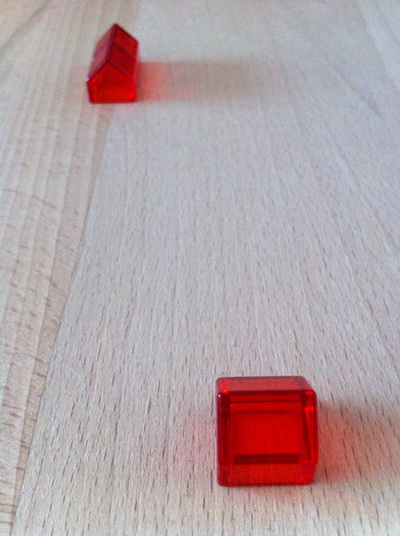 Solution 1.2 & More Solution 1.2 are the starting points of these series. 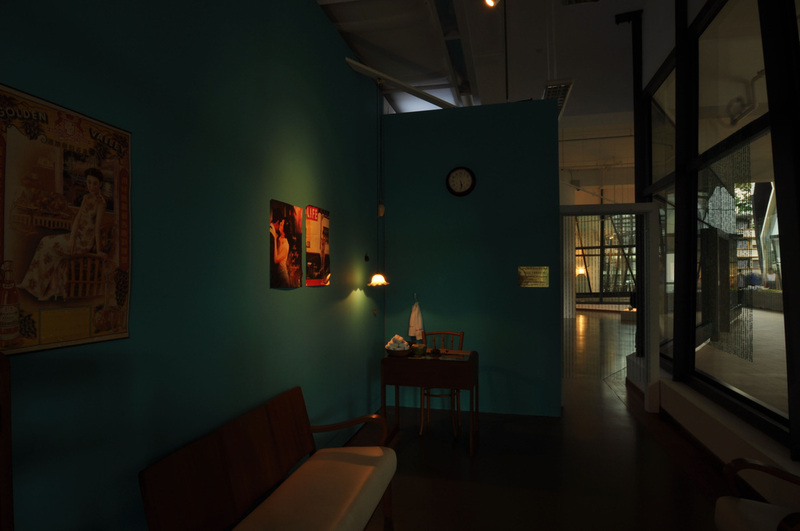 With more than 85% of the population in this city living in high-rise spaces, the issues of privacy and intimacy become increasingly urgent as the declining birthrate and procreation become a national preoccupation. 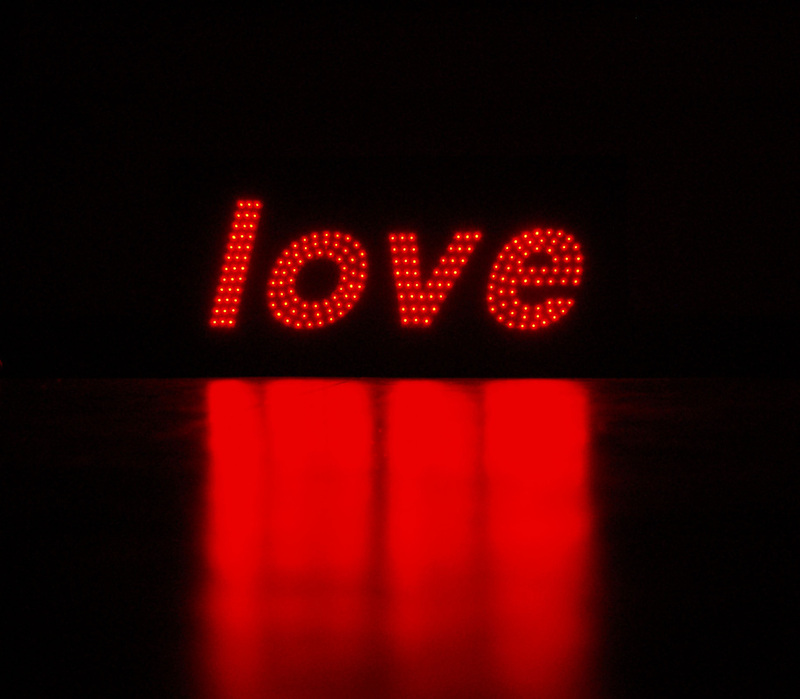 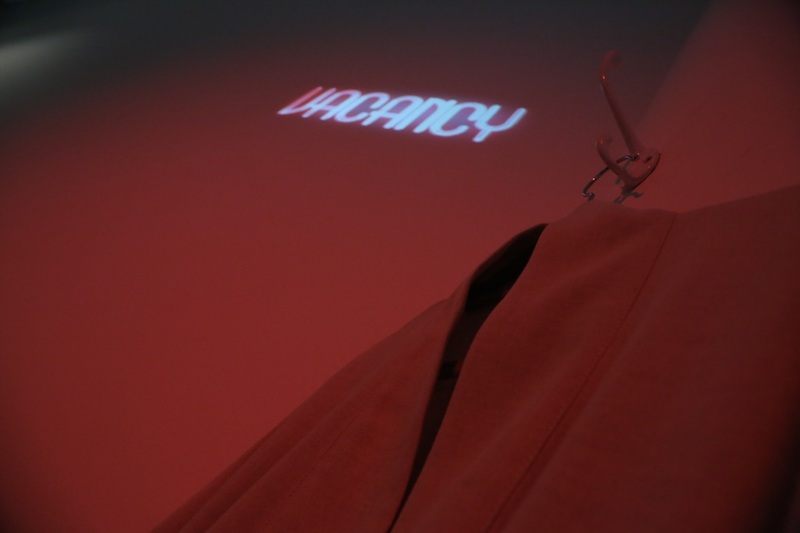 As LED signages, they were façade treatments of the Love Hotel, as per installed in ICA Gallery 2 at LASALLE & Lim Hak Tai Gallery at NAFA (August 2010). 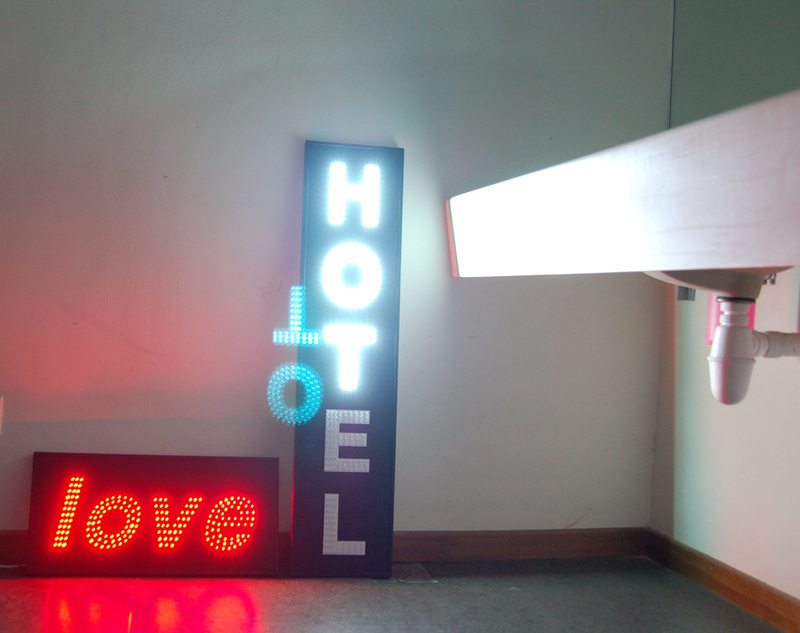 These signages also question what ’love hotels’ are. 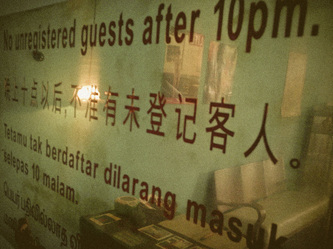 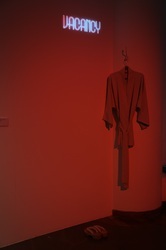 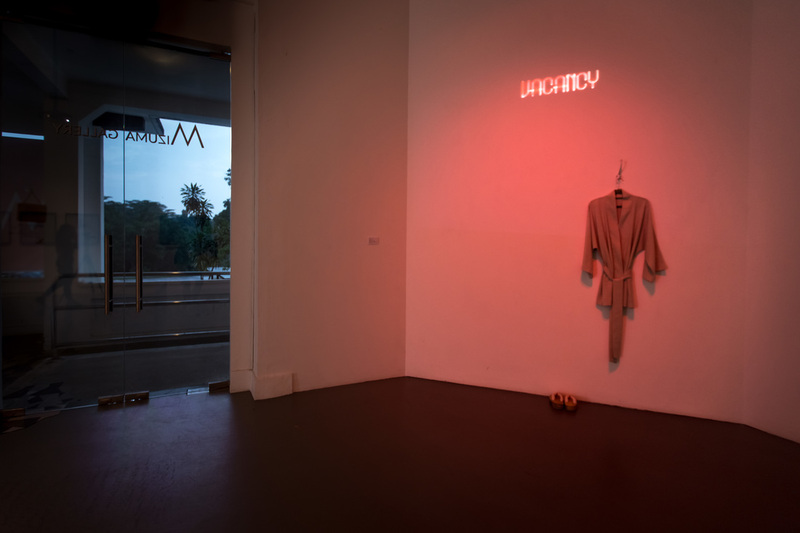 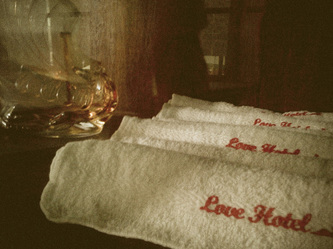 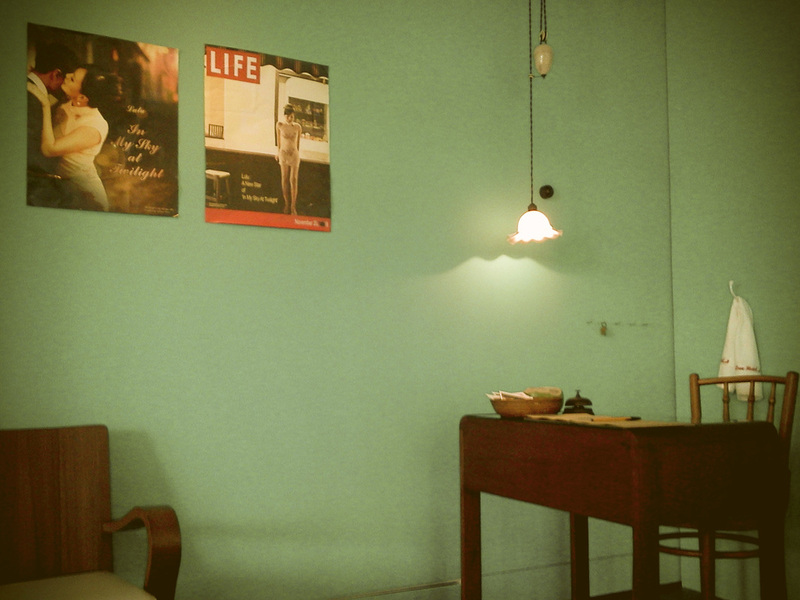 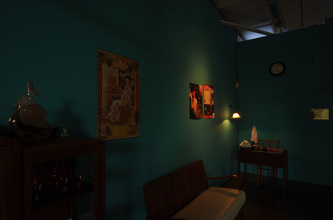 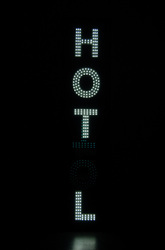 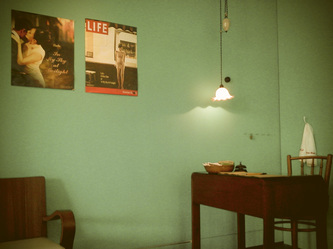 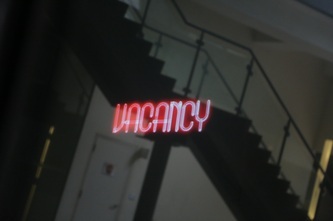 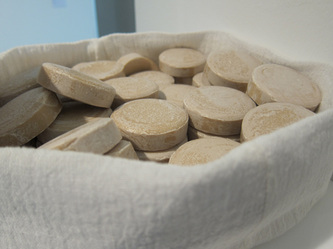 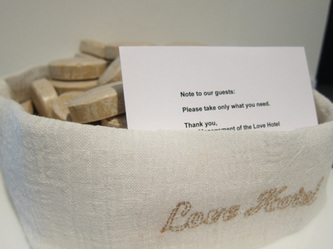 For the Nine show (March 2011, LASALLE College of the Arts), Love Hotel II is a recreation of the lobby of a small hotel, as the site of ambiguity and anticipation. 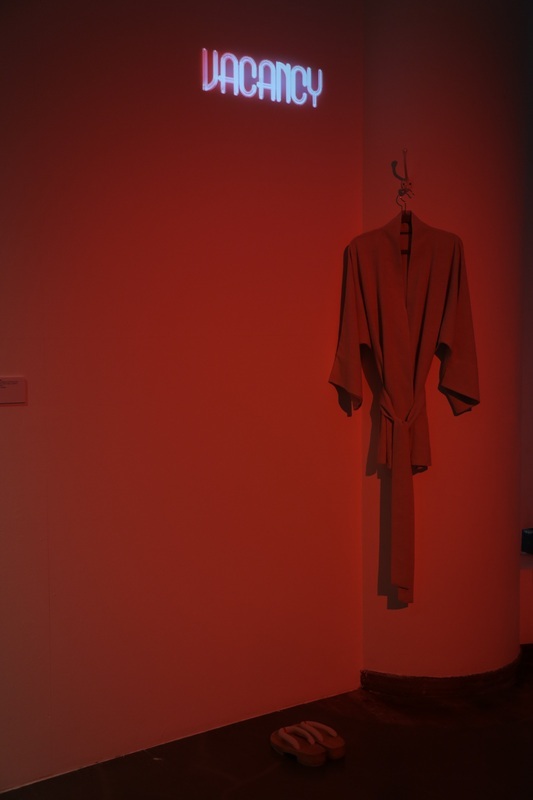 The installation hopes to put forth questions of belonging, and experiences of isolation in search of love as well as our expectations of what makes up these liminal spaces of intimacy. 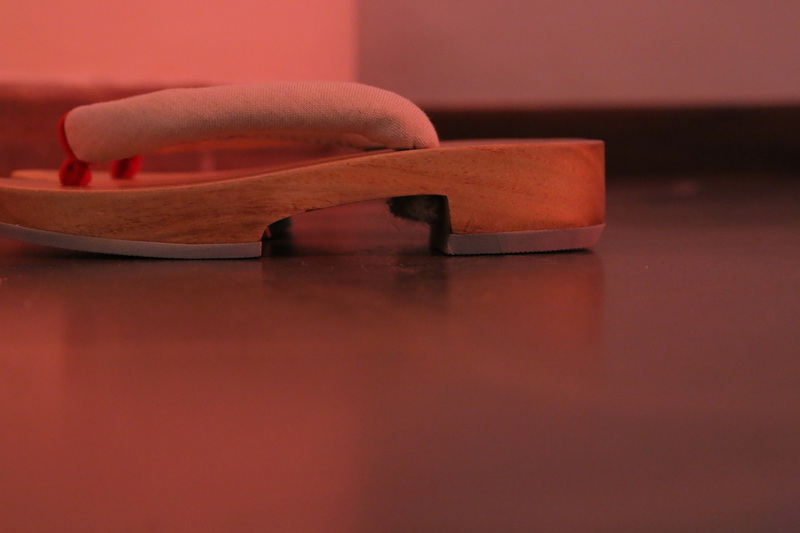 It also attempts to make awkward the encounter, and at the same time, create the sense of the familiar/uncanny. 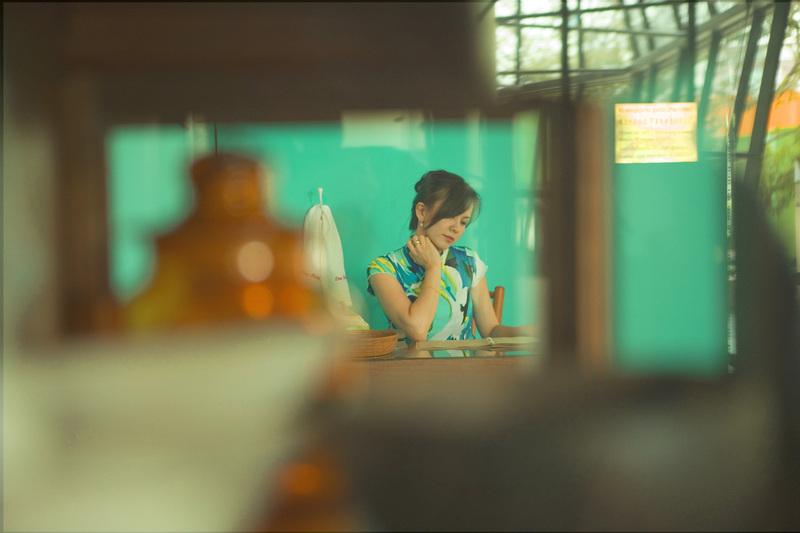 As a separate narrative, Lulu, having a failed as a movie star, now lives on as she runs the Love Hotel. 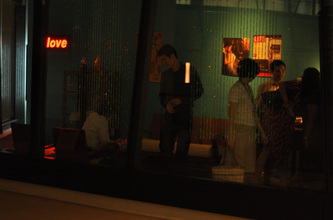 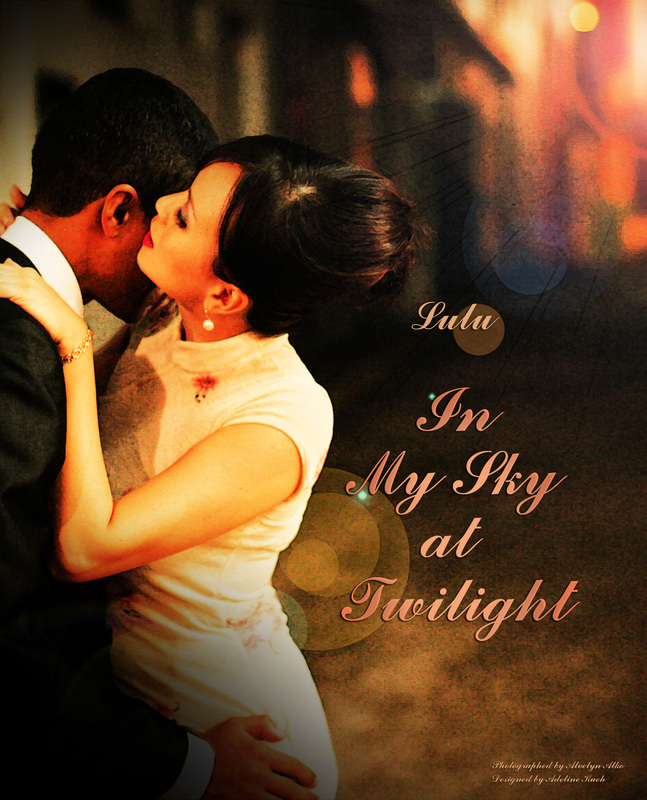 Through Lulu, projections regarding the sexuality of an Asian woman are also examined. Love Hotel III is in the making and consists of video works, objects and installations as well as durational performances pertaining to the hotel rooms and bathrooms. This series of works will look at moments when such encounters personify moments of a somewhat confessional nature. Moments of solitude, quietness and the processes of upkeeping these scenarios are made bare for the audience to contemplate within these works that are essentially about mapping and projection of desire. 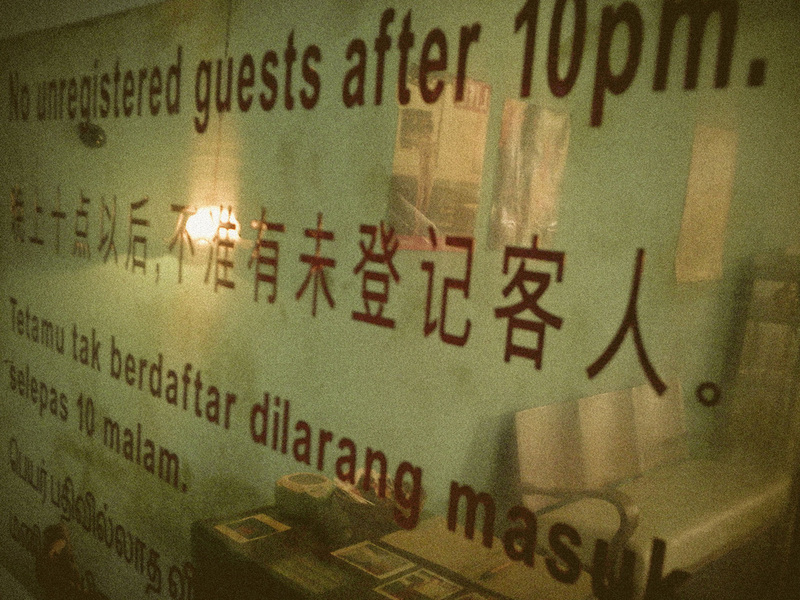 © 2013 Adeline Kueh. All Rights Reserved.